We’ve all been reading a lot more lately about the growing impact on Artificial Intelligence in the food and restaurant sector. I’m not much of a technical geek, but do find it really interesting when technology does make our experience of eating and drinking out more interesting, exciting – or simply easier. We’ve all become familiar with the impact AI has had on online ordering of our Friday night takeaway for example – this is just the start of a bigger wider trend in dining. Here are a few of the latest technological innovations I’ve come across which we’ll all be experiencing very soon, if not already. AI allows restaurant brands to be agile, flexible, regionalised and local, with the right customer offer or message for a particular place and time. For example, bad or cold weather in a particular location can provoke a targeted message or menu offer response to match the customer mood. Or it could be linked to a localised event near one restaurant location site – such as a business conference or family fun event. Allowing for ever more targeted and relevant message delivery. Amazon already knows our habits, preferences and interests. And will constantly try and encourage us to keep buying more products based on this insight. We’ve all experienced this. In the very same way, restaurants can exploit this to recognise and act upon our food tastes, preferences and spending habits. Allowing them to make the customer purchasing process a lot simpler by showing what we’ve ordered before, or pushing additional spend through recommending similar dishes, or sides, or bolt-on dishes which work with our main choice. All this rich data enables the order-taker to demonstrate that they know exactly what the customer wants, thus providing efficient and attentive customer service. Place your meal order via Alexa when you visit your drive through, or at a self-service order kiosk. Voice ordering systems have a built-in learning and recognition which means they continually learn and improve knowledge of you and what you like or want. Order kiosks mean you don’t have to queue at a counter to place your order – we’re already familiar with these in fast casual outlets such as McDonalds. AI means they will continue to get smarter, and a lot more personalised. You will receive prompts and suggestions when you order based on previous order history. Self-order kiosks allow customers to consider menus properly without decision making pressure in a queue, including detail on nutrition, or allergens, or even trade-up prompts where the customer is in control to decide, not under a hard-sell pressure. And because it knows and recognises you, it does not have to ask the usual predictable and repetitive set of questions every time you visit and order. McDonalds are looking at the opportunity to have personalised preference menu digital screens which can be displayed as each individual customer car approaches. Making your order process potentially much quicker and simpler based on your likes and your previous orders – and of course a lot more friendly and personal. As new breakthroughs are achieved in FR technology, this will again enhance F&B brands’ ability to completely personalise the offer and messaging they deliver to customers – creating a deeper, richer, more relevant and meaningful interactive experience. For example – no need to pay by cash or card for your meal – just smile into a self-service screen to validate your identity and complete the transaction. AI can control the music and lighting based on time of day, week, customer demographics – creating the right mood which encourages greater dwell, spend on alcoholic drinks, perfect instagrammable pictures, etc. In future – different zone moods could be created in every restaurant tailored to individual customer group preferences! Customers place orders before they visit the restaurant. So dishes can start to be cooked when tracking indicates you’re 10 minutes away from the restaurant for example. AI will increasingly provide a more personalised offer and service to us at every touchpoint and opportunity. From going onto a restaurant website in advance to check out the menu, to prompts as we visit other online platform sites, to using mobile apps, to our visit to the restaurant and after service experience (adding loyalty programmes to apps). All this makes the eating out process easy, quick, time saving, and targeted – therefore a much better quality individual customer experience. Tracking personal interests and particular requirements/interests allows restaurant brands to specifically react and respond to each, creating new revenue and loyalty opportunities. So AI has the capability to make our experience as customers much more personalised and higher quality, as well as convenient. And because AI is data driven, it can take in live accurate data, analyse it, and make recommendations to bring greater success to F&B businesses. The end result is that it allows restaurants to make better decisions about the best personalised service to give all its customers. It empowers hospitality businesses to be at the front end shaping new trends, not being led by them. Accurate up to date data can have a big impact across all levels of an F&B business – from kitchens to marketing, sales to operations, menu & product development to customer service. 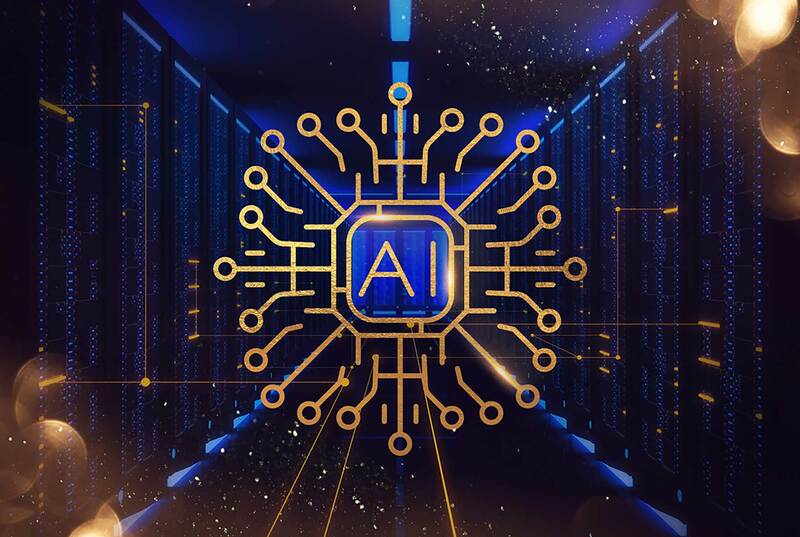 AI will, in future, also play a huge role in ensuring our growing global populations will have enough food to survive. In an industry where trends and customer habits/preferences are constantly shifting and changing, this kind of insight can be very powerful. Matching different customer demographics, forming a clear pictures of individual tastes, interests, desires and requirements. QSR – How Artificial Intelligence is Reshaping the Restaurant World – December 2018.